Who said cherries are only for dessert? They are the perfect companion to couscous. 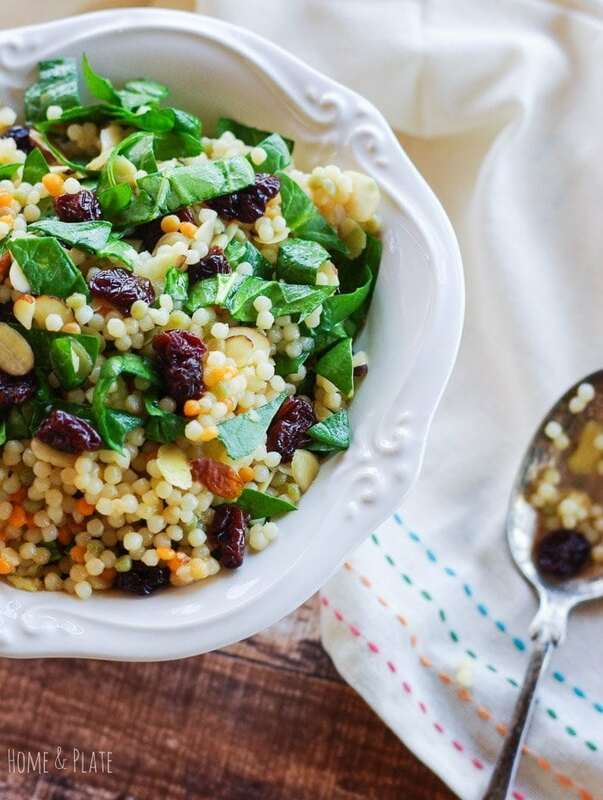 Enjoy this Moroccan-inspired pearl couscous side dish at your next barbecue. I love the tart taste of Washington cherries and could eat them all summer long. I knew exactly which recipe I planned on sharing with my readers featuring those cherries but I had no luck finding fresh in Ohio. Thank goodness dried cherries are available year-round. They became a perfect substitution. Not much more is needed in this recipe than a little olive oil and balsamic vinegar. While dried works great in this dish, when in season, I plan to use the real thing … fresh, tart Washington cherries. I think I may have to wait for the weather to warm just a tad more. I prepared the pearl couscous ahead of time with water and a splash of orange juice. I tossed in the dried cherries the last few minutes of cooking to plump them up. The result was delicious. Serves 4. Total time: 30 minutes. In a medium pot bring the water and orange juice to a boil. Add the couscous and olive oil. Cover and reduce the heat to low and allow the couscous to cook for about 8 minutes until almost cooked through. 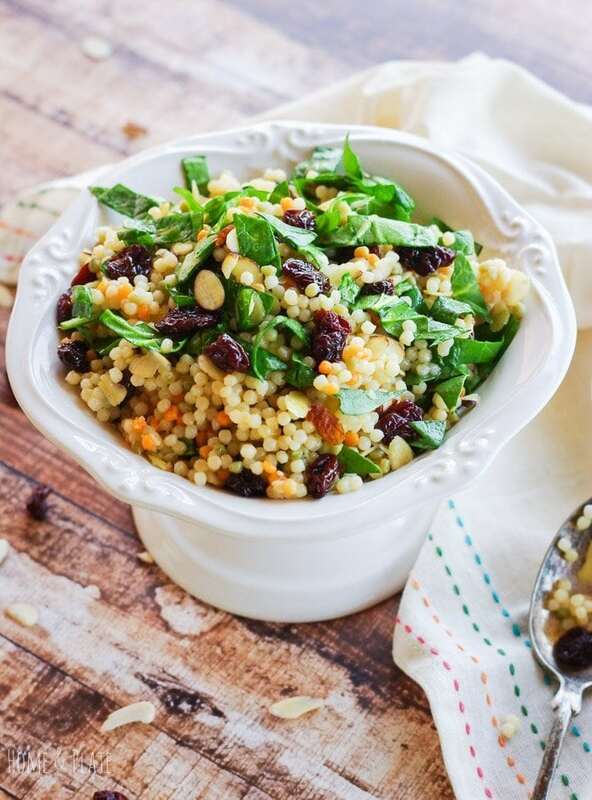 Stir in the cherries and continue cooking until couscous is tender, about 3 to 4 minutes longer. Remove the pot from the stove and allow it to cool completely. Add the spinach, almonds and couscous mixture to a boil. Add in the olive oil and balsamic vinegar and stir to coat. Serve immediately or refrigerate until ready to serve. 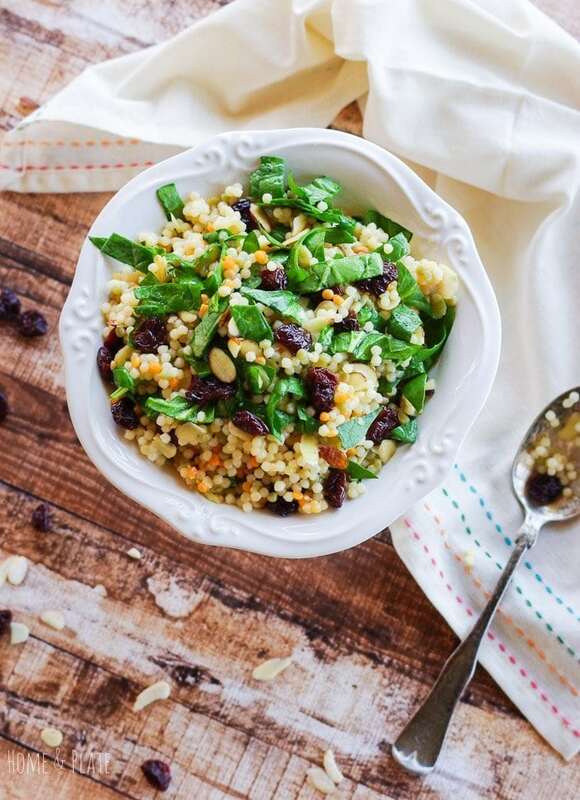 I hadn’t considered putting cherries and couscous together before, but it sounds fantastic! Lovely recipe. Looks amazing! I have found dried cherries several times in stores and have wondered what to use them in. Looks like I will be trying this (and the other recipes too). Thanks Melissa…dried or fresh, this recipe tastes delicious with either. Enjoy. Ali, this is gorgeous! I am totally smitten with the idea of adding orange juice while cooking the couscous. Definitely trying that out. I am so lucky to live in Washington during cherry season. I actually saw some Rainier cherries at the grocery store yesterday and am so pumped! Lucky you….I love cherries and just can’t get enough. Waiting to gobble them up this summer. Thanks Trish. So simple but so many great flavors, textures and colors in this salad. Will need to give something like this a try this summer. Thanks Peter…it is an awesome side dish for summer. Such a great recipe and creative way to use cherries! 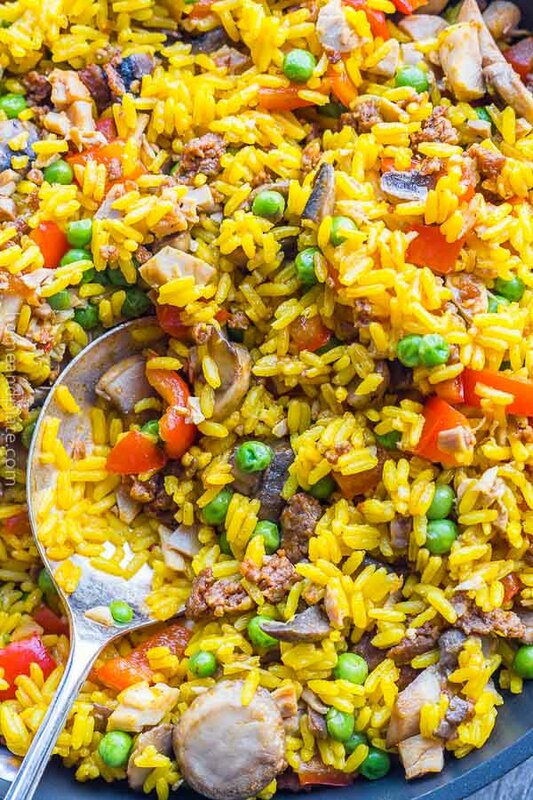 What a fantastic recipe roundup from the #FoodieMamas this month! Yum! The orange juice in this recipe sounds amazing! We are hosting a cookout on Memorial Day and I’m going to make this as a side!